Apple has released some of the best-selling products of all time, and has revolutionized whole industries on its own. Music, phones, computers, even advertising have been greatly affected as Apple has continue to grow in size and influence. Here's TheStreet's look at 10 of the best Apple products ever made. NEW YORK (TheStreet) -- With Apple (AAPL - Get Report) reportedly getting set to announce a slew of new products later this year, Apple may have another hit product on its hands. Apple has released some of the best-selling products of all time, and has revolutionized whole industries on its own. Music, phones, computers, even advertising have been greatly affected as Apple has continue to grow in size and influence. Apple started as a computer company April 1, 1976 -- and in those 36 years, has gone from making just computers to making a number of products the masses love and clamor for year in and year out. Steve Jobs, and to a lesser extent, Steve Wozniak, built Apple on making aesthetically pleasing and easy to use products. 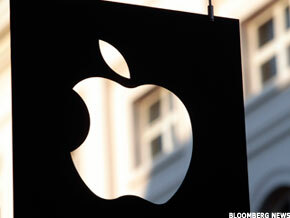 As Apple grew from its infancy to the $510 billion behemoth it is now, its reach expanded. It went from being only for hobbyists, geeks and technophiles to being a mainstay brand for the everyday person. Here's TheStreet's look at 10 of the best Apple products ever made. The Apple II started it all. 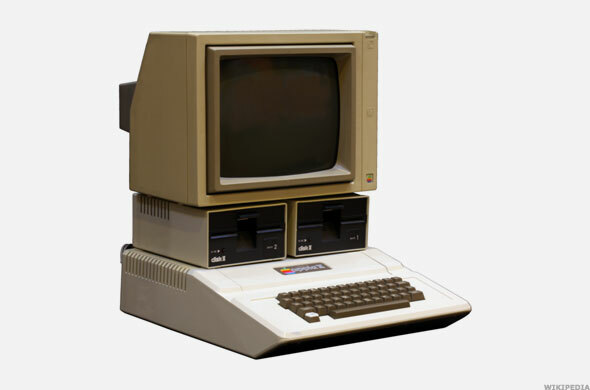 Built just 12 months after the Apple I, the Apple II started Apple on the journey that the company has become today. It was the fastest-selling personal computer of its time, and was designed primarily by Wozniak. A little known fact is the Apple II was actually a line of computers that Apple kept producing, up until the Apple IIe, which stopped in November 1993. The Apple II was one of the first personal computers that had color graphics, and came with two gaming paddles right out of the box. There were also eight slots built into the Apple II allowing users to expand it and customize it, including adding more memory, graphics and the ability to add a printer and a floppy drive. Apple's first big-time computer cost consumers $1,298 when it first went on sale, but that didn't stop the company from selling "well over 300,000 units." It generated Apple Computer $79 million in revenue during 1979. Following the success of the Apple II, Apple failed with the Apple III, a disaster the company had a hard time recovering from. In 1984, that all changed when Jobs unveiled the Mac to the world in a Super Bowl commercial unlike anything the world had ever seen. Originally named the Apple Macintosh, the Mac took the personal computing revolution to a level the Apple II never did. Known for its distinctive beige design, the computer came with a monitor, keyboard and a mouse, and is remembered for its exceptional graphical user interface (GUI). 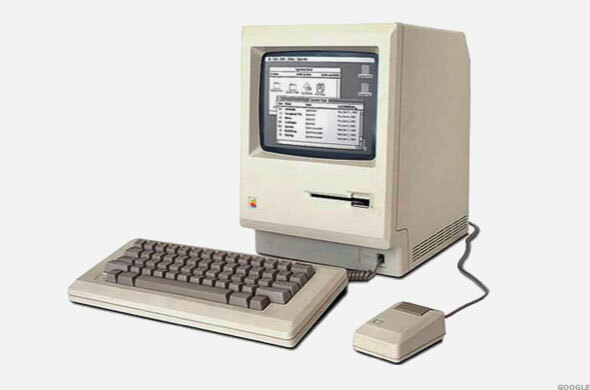 Once sales of the device were so strong that it would be a hit, a second product came out named Mac 512K and the original Mac was named Mac 128K. Unlike the Apple II, the Mac was not expandable and cost users $2,495. The iMac 3G was an all-in-one personal computer, with the monitor and CPU in one system, and it was the first computer where you could actually see the inside. The iMac 3G originally came in Bondi blue, then was released in thirteen colors. It also included dual headphone jacks and built-in stereo speakers, and is one of the first major products that Jonathan Ive, Apple's vice president of industrial design, is credited with designing. The original iMac was also the first computer to use USB ports as a standard. 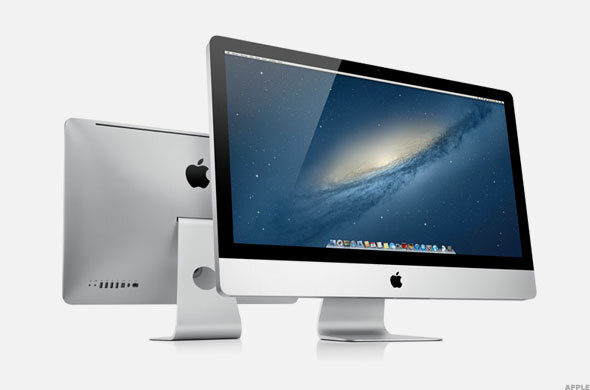 The first iMac cost consumers $1,299 in May 1998. Apple is known for all the great hardware it's made over the years, but one piece of software helped turned the fortune of the company around forever: iTunes. Apple introduced iTunes, a digital jukebox of sorts, in January 2001. The program's big innovation was allowing a user to store all the songs on a computer in one place. Unlike many of Apple's products, iTunes is a free download that was originally available only for Mac OS 9, but later came to Microsoft's (MSFT - Get Report) Windows to help expand iTunes' reach. 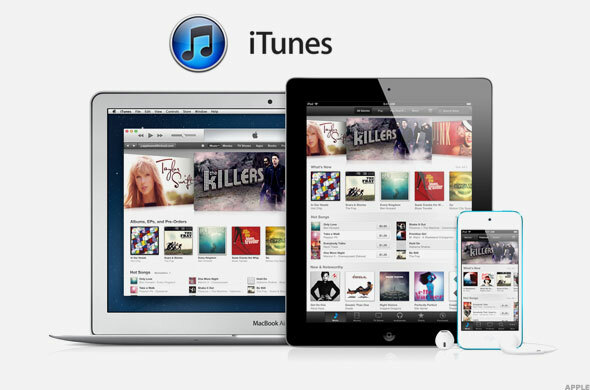 Although iTunes was launched with just the ability to store all your music in one place, it became much more. With iTunes, users can now burn CDs and purchase MP3s, albums, movies, TV shows, books, and other forms of content all straight from the platform, giving Apple access to 800 million (and growing) credit cards and user accounts. In October 2001, Apple changed the world yet again, by introducing consumers to the iPod. It was described as being able to have a "thousand songs in your pocket." The first iPods went on sale on Nov. 10, 2001. The MP3 player was out long before Apple came up with the iPod, but Apple's ability to reinvent a market and make it easy to use created a product everyone wanted to have and couldn't do without. 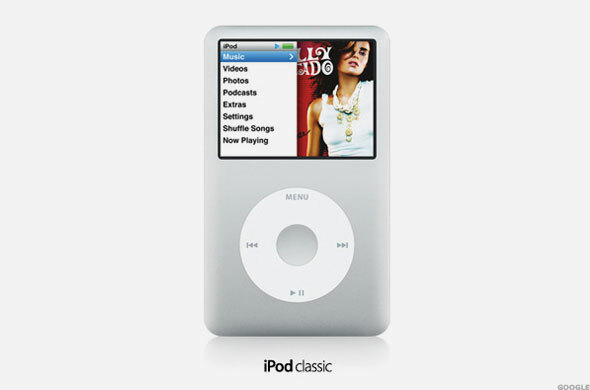 The original iPod is known for its famous click-wheel, which helped users scroll through their music library with ease. It originally came in 5 GB and 10 GB models, but in subsequent versions (the latest iPod Classic), Apple increased the amount of storage on the device to 160 GB. The original iPod connected via Firewire, but this later changed to USB, for both syncing and charging. The 5 GB version cost users $399, while the 10 GB version cost $499. The iPod spawned a line of products, including the iPod Mini, iPod Nano, iPod Shuffle and iPod Touch. The iPod may have changed the way we listened to music, but the iPod Video changed the way we watch videos. Announced in October 2005, Apple launched the fifth version of the iPod, which had the capability of not only playing music, but also being able to view photos and watch videos. It came in 30 GB, 60GB, and 80GB sizes, as more users packed videos and photos onto their devices. The iPod Video was the first iPod available in colors other than white, as black was introduced. The 30 GB model cost buyers $299, and the 60 GB model cost $399. 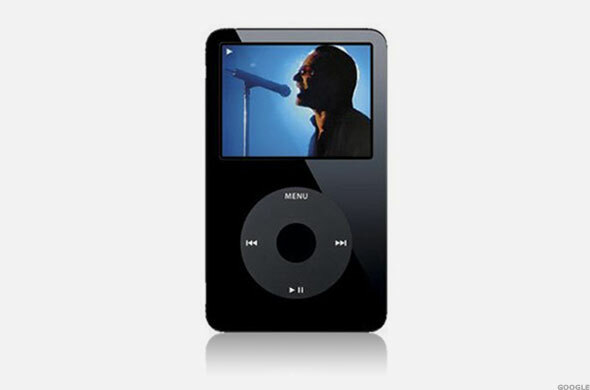 The iPod Video is also the first and only iPod available with a brand on it, as the rock band U2 had their own special edition, costing $349. In January 2007, Apple introduced the iPhone on AT&T's T network, setting a new standard in smartphone design and functionality, according to the technorati. 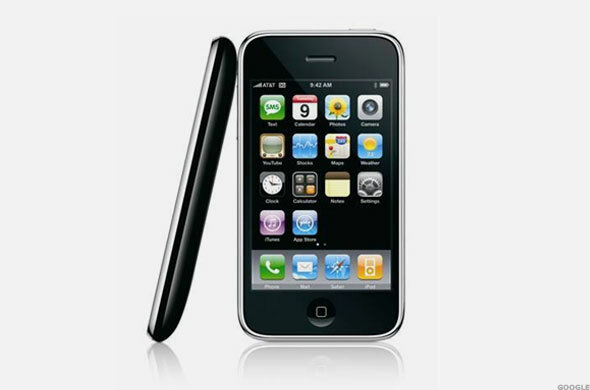 The first iPhone was unveiled at Macworld 2007 at the Moscone Center in San Francisco and was very pricey. The first two models, a 4 GB version and an 8 GB version, cost $499 and $599, respectively. It garnered so much positive attention from the media that it was dubbed the "Jesus phone." 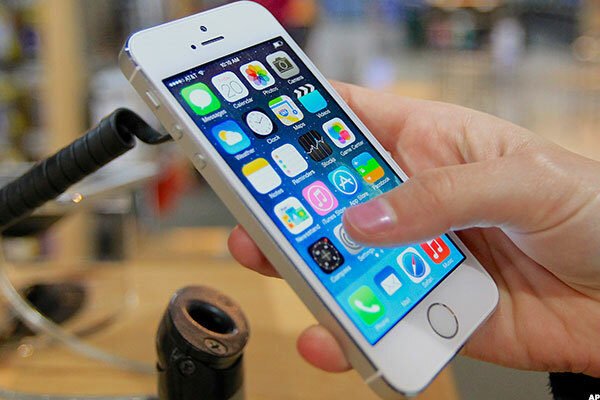 In the first five quarters the phone was available, Apple sold 6.1 million units. The company evenutally cut the price by $200, and Steve Jobs apologized to users. The iPhone ushered in a new era of smartphones, and now accounts for more than 50% of Apple's revenue, per its latest quarterly filing. The iPhone proved to be a big hit and get people talking, but not until the iPhone 5s did Apple truly show the capabilities of how a smartphone could overtake the PC and other mobile devices for all your computing needs. The iPhone 4S was the first phone to include Siri, Apple's personal navigation assistant, but the 5s was the first phone to include a 64-bit chip, the A7, that allows users to do everything they could on a PC, but at an incredibly fast speeds. One Qualcomm QCOM employee was quoted as saying the A7 chip took the mobile industry by surprise. "The 64-bit Apple chip hit us in the gut," said the Qualcomm employee. "Not just us, but everyone, really. We were slack-jawed, and stunned, and unprepared." The 5s is 4-inches, the same size as the previous iPhone 5, and incorporates TouchID, a feature that may lead Apple to its next big thing, mobile payments, something CEO Timothy D. Cook talked about on Apple's fiscal first-quarter earnings call. "The mobile payments area in general is one that we've been intrigued with, and that was one of the thoughts behind Touch ID," Cook said on the call. "But we're not limiting ourselves just to that. So I don't have anything specific to announce today, but you can tell by looking at the demographics of our customers and the amount of commerce that goes through iOS devices versus the competition that it's a big opportunity on the platform." In April 2010, Apple announced the iPad, which breathed new life into an ailing tablet market that no other tech company had been able to successfully crack. According to Reuters via iSuppli, 12.9 million iPads were shipped as of Dec. 10, 2010, including 300,000 sold the first day it was available. 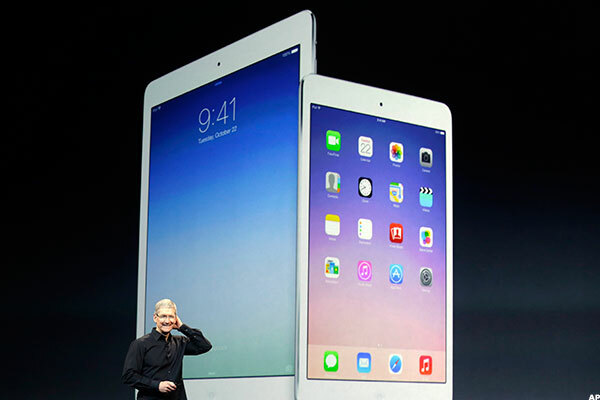 The iPad Air, however, has taken the tablet market to the next level. Apple's thinnest iPad yet, it weighs just 1.05 pounds with LTE connectivity, nearly 1/2 pound lighter than its predecessor. It's just 7.5 millimeters thick, nearly 2 millimeters thinner than its predecessor as well. It comes in 16GB, 32GB, 64GB and 128GB models, allowing tablet consumers the option of increasing storage on their mobile devices. Though the tablet market has slowed some in the past few quarters, Apple, via the iPad Air (as well as the rest of the iPad family), has managed to keep its strong hold on the market, owning 32.5% of the market, down from 33.2% in the fourth quarter of 2013. Apple has always been known for making exceptionally beautiful hardware, but its software has also been a thing of beauty, as Mac OS X has been the standard for years now. Originally developed from software from NeXT (a Steve Jobs company that was bought by Apple), OS X is built on a Unix system that's sleek, responsive, safe and easy to use. It's both available in 32 and 64 bit editions, and the current version, OS X Mountain Lion, is now available on the Mac App Store, instead of on a disc, for $19.99. 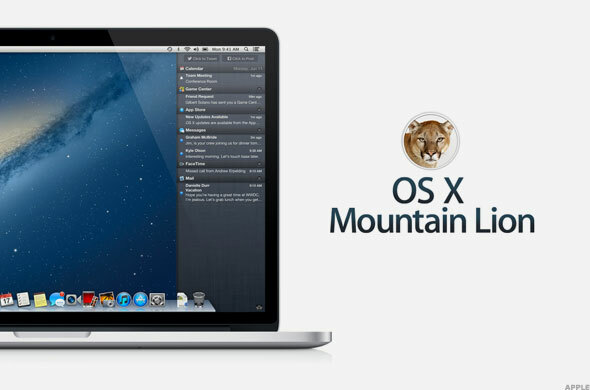 OS X Mountain Lion has features similar to that of iOS, including iMessages, iCalendar, Notes, Reminders, and integration with both Twitter (TWTR and Facebook (FB.